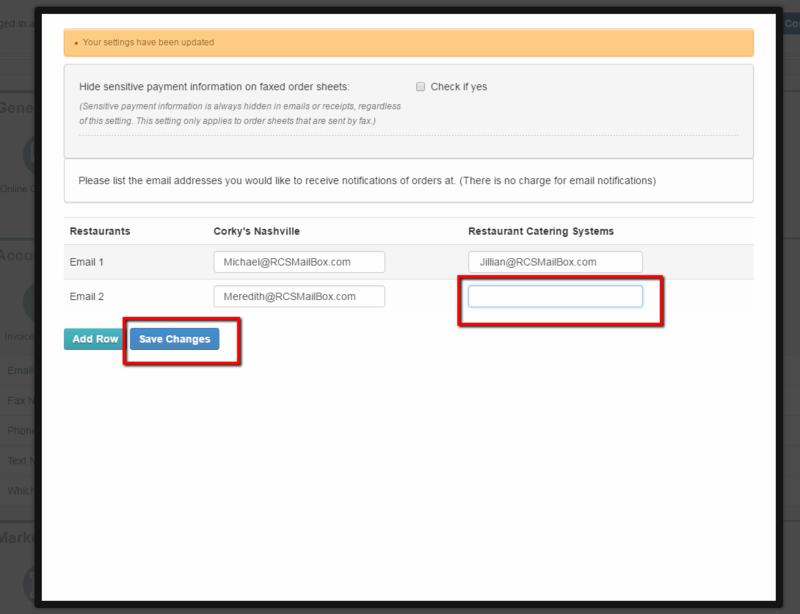 Below will be step by step instructions on how to add and remove email addresses to receive a notification that an order has been placed. 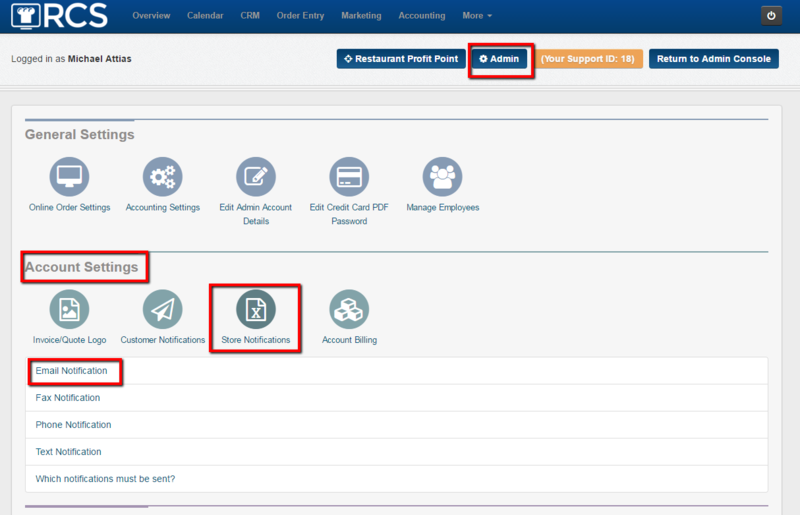 1 - Click on the Admin tab; look for the Account Settings section; click on the Store Notifications bubble; then choose the Email Notification link. 2 - A pop up box will appear after selecting the Email Notification link. 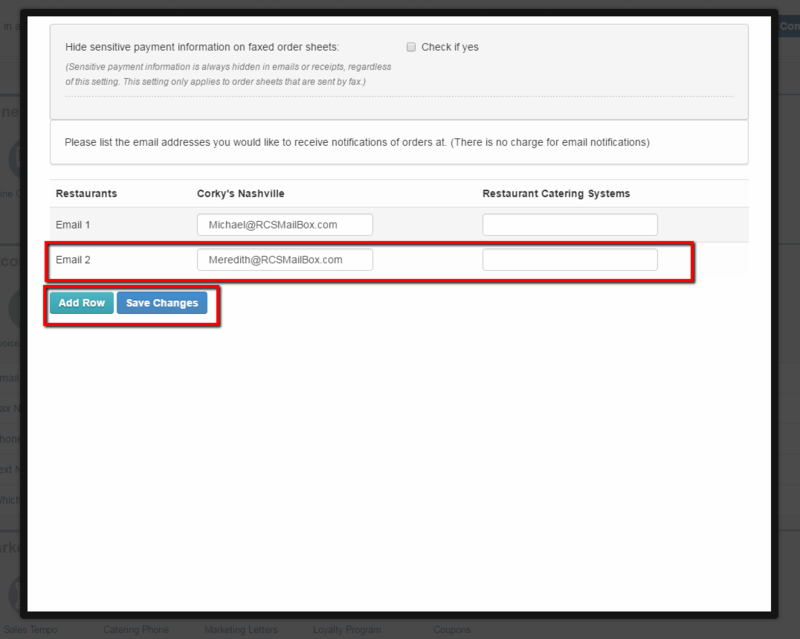 3 - To add a new email click on the Add Row tab. 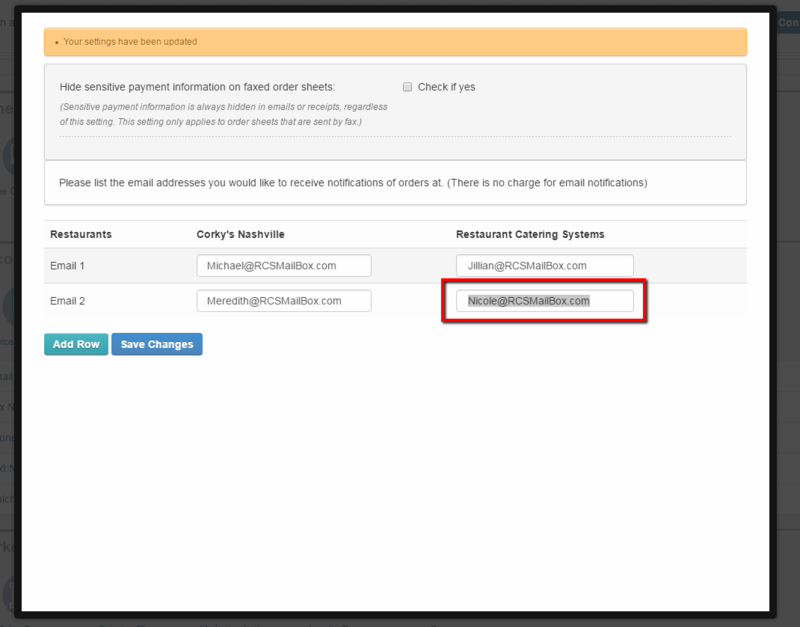 Once you have added the email address click on Save Changes tab. 4 - Please note that all locations in your account will appear. 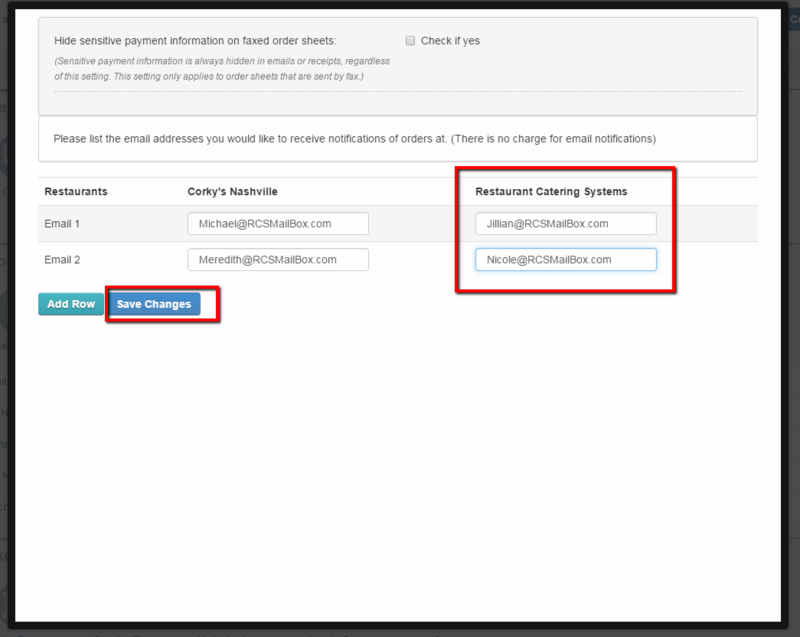 You can set up different email addresses for different locations. Please remember to always click the Save Changes tab when adding in email addresses. 6 - To remove an email address you will just Highlight. 7 - Delete the Email Address and click on the Save Changes tab. 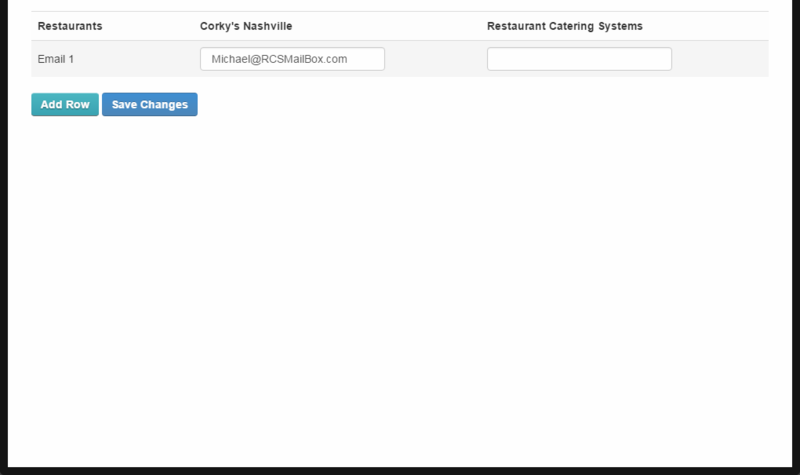 You have now learned how to add an email address for order notifications for all the restaurants in your account. And you have learned how to delete an email address for notifications as well.